. استمتع بالخدمات الراقية والضيافة التي لا مثيل لها بهذا الفندق في ملبورن. يمكن الاستمتاع بمجموعة من الخدمات على أعلى المستويات في الفندق كمثل واي فاي مجاني في جميع الغرف, مكتب الاستقبال على مدار الساعة, تخزين الأمتعة, واي فاي في المناطق العامة, صف السيارات. تتضمن كل غرف النزلاء وسائل الراحة والتسلية المصممة خصيصاً لضمان الراحة القصوى للضيوف. يمكنك الاستمتاع بالأجواء المريحة التي تقدمها مركز للياقة البدنية, مسار جولف - ضمن 3 كم, حمام سباحة داخلي, غرفة بخار طوال النهار. 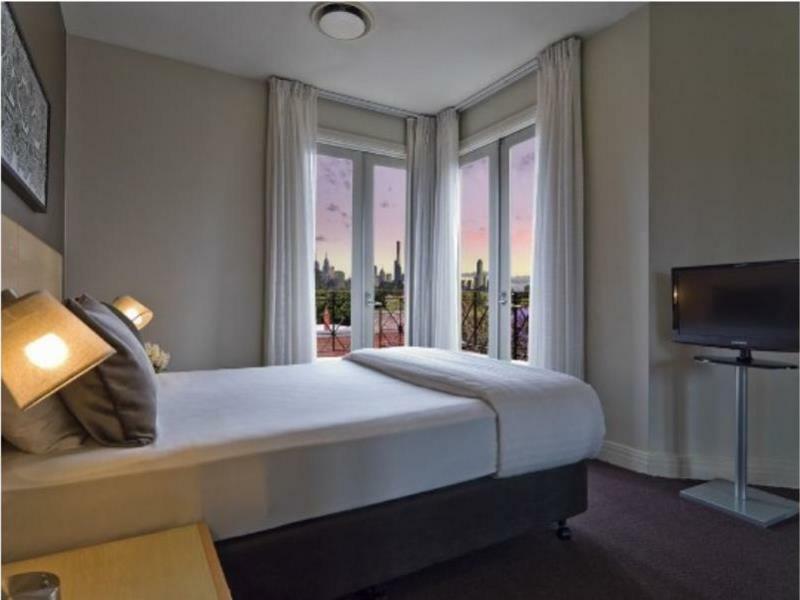 يحظى فندق Adina Apartment Hotel South Yarra بموقع ممتاز وخدمات يصعب منافستها. يجب تقديم بطاقة ائتمان سارية من أجل التفويض المسبق لحجز مبلغ منها عند تسجيل الوصول، لا يُقبل الدفع نقدًا. وهذا لتأمين العقار ضد أي مصروفات عارضة يتم شراؤها طوال مدة إقامتك وسيتم ردها إليك في نهاية إقامتك. خدمة صف السيارات متاحة لقاء رسم إضافي بقيمة 10 دراهم إماراتية، وتخضع لشرط التوافر. 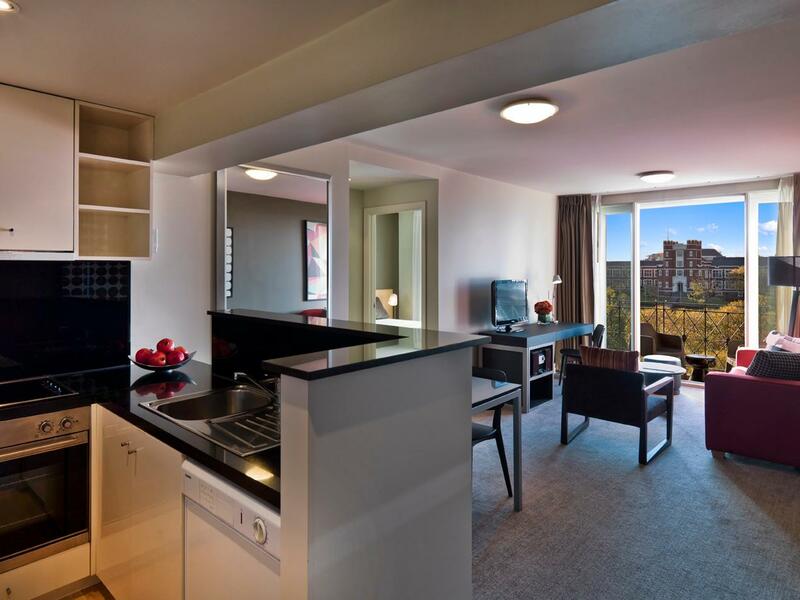 It was the 2nd Serviced Apartment we stayed at during our 2 week trip to Melbourne and it was certainly the best. Walking distance to public transport and secure parking to put the car. It was cold in Melbourne and the heating system made it a very comfortable stay especially as we live in Thailand and our children are not accustomed to cold weather. Everything in the room work well and the facilities made us feel we could stay for a month. Only fault i can find with this Hotel is the cost of internet it is expensive and for those staying for business it should be free as many hotels are these days - i would not call there rates gouging but they are close. Convenient location to trams and train for easy access to the city and it's attractions; well-appointed 2 bedroom apartment suitable for 4 singles; good kitchen with large fridge and modern appliances; laundry good feature for longer stays; spacious outdoor terrace add to spaciousness; many restaurants and cafes in nearby Toorak Road. Double glazed windows reduce noise from the train line. This was a good location for what we wanted, close to South Yarra, Chapel Street and to trains and trams. Rooms quite nice, fairly roomy one bedroom apartment. Bed a little hard but still quite nice and reasonable price. We have family of 4 including 2 kids under 12, we enjoyed cooking inside apartment, there has full set of cutlery, dishwashing machine and electric household appliances. Areas for improvement: No air-condition/fan inside two bedrooms; curtains cannot be closed properly, light can go through via the gap; no free wifi service inside the room except half hour free wifi at reception lobby per 24hours; ants found on the wall near the kitchen and living room areas; not many tour operators would provide free door-to-door pick up transfer at South Yarra area,we have to walk 7 mins down to the Toorak Road to wait for pickup services. we booked 10days at this location with our move back from singapore to melbourne. 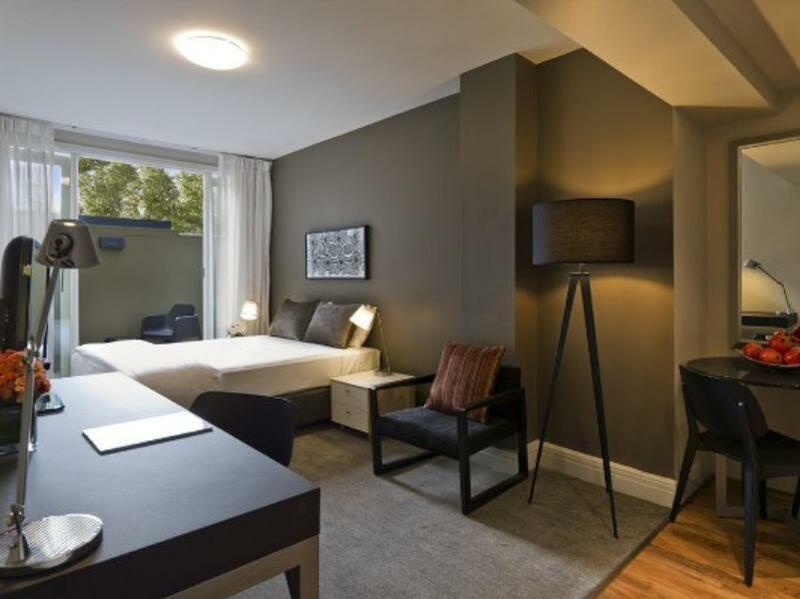 it was located in a great location and we liked going down to the local restaurants which were only a short walk away, the train is in easy access and driving into the city was also simple. the 1 bedroom room was very nicely appointed and bed very comfortable. we also often cooked in the kitchen which we found well setup for this. the staff were very friendly and helpful and allowed us to check in early when we arrived from singapore, which was great. we would definitely stay here again. Stayed for 2 nights and would loved to have stayed longer. Staff were very accommodating making sure we had rooms on the same floor as our daughter and her family, even though they were fully booked & this took a bit of juggling. We were pleasantly surprised by the size of the apartment and the bedrooms. Near a train line ...but with double glazed windows this didn't bother us at all. Only complaints we had were that the downlight in the kitchen area kept going off at the most inconvenient time & my husband wished for a teflon frypan to cook the bacon & eggs in instead of the one they had ...but, trivial given the price we paid and the fantastic location. 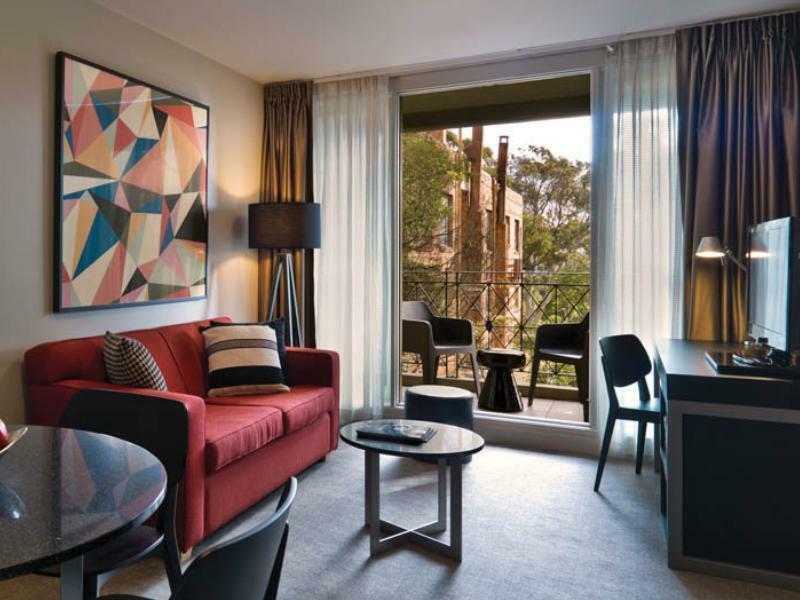 No hesitation in recommending the Medina South Yarra as a great place to stay & much better than a hotel room. 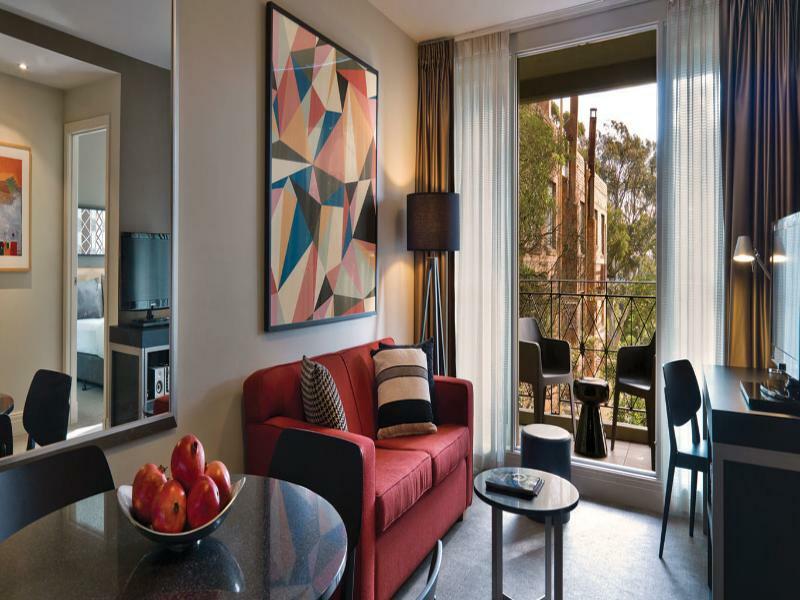 Medina Executive South Yarra Apartments is well kept and a lovely place to stay in. 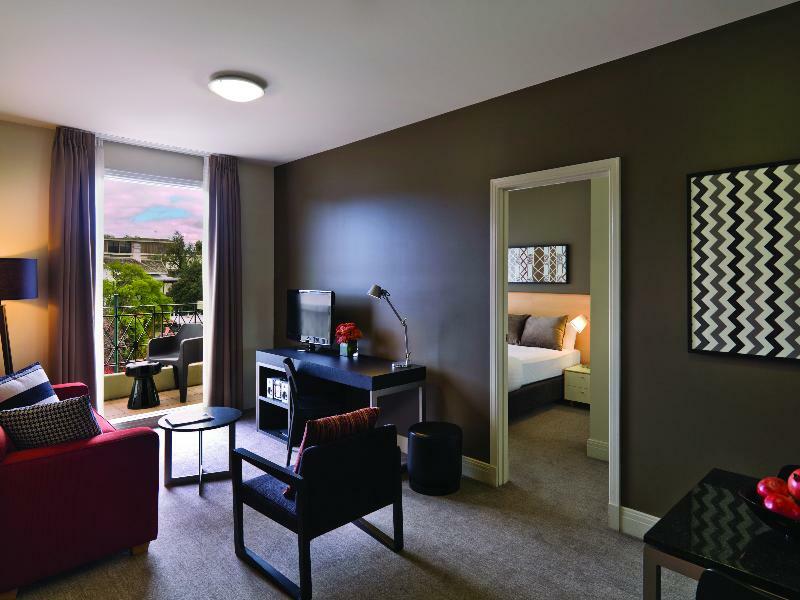 Rooms are clean and of a comfortable size especially if you are travelling with family. Staff are friendly and helpful. Hotel is in a good location and easily accessible and it is near shopping area. The hotel is fantastic and suitable for the family with children. There is very convenient location for shopping and sight-seeing. The staffs are very helpful and useful, I have already recommended to my family and friends. I will definitely comeback in the near future and will use this agoda website for our searching accommodation. 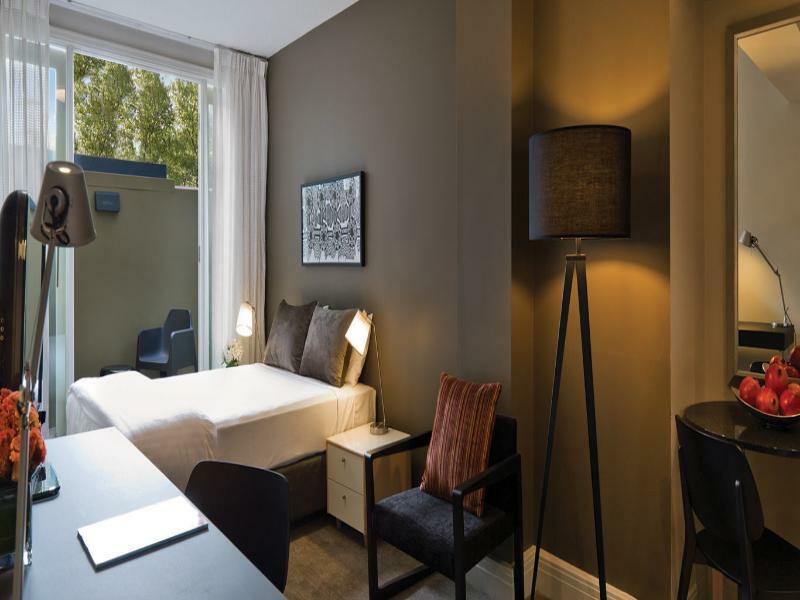 Our family of two adults and two young kids stayed for three nights at the Medina South Yarra after finding an excellent rate an Agoda. 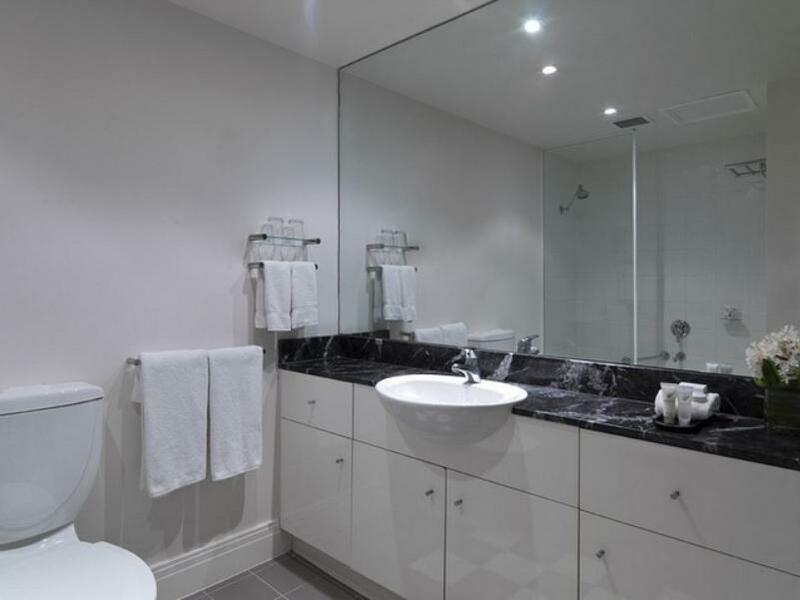 We had a two bedroom apartment which was spacious and exceeded my expectations. The kitchen facilities were more than adequate with microwave, cook-top, oven and dishwasher. The two bedrooms were a good size and so was the bathroom. It also had a small balcony. The staff we spoke to were all professional and friendly. The location is convenient to South Yarra train station (~5 minutes walk), and trams on Toorak Rd (~5 minutes) and Chapel St (slightly further). There are several restaurants and an IGA supermarket on Toorak Rd as well. They also offer free parking, which was a pleasant surprise. We were on the train side of the property, and I can understand that the noise would be an issue for some people. We had no problem sleeping with it though, and our two year old loved watching the trains from the window. There were some minor issues with the room. The blockout curtains aren't quite wide enough to meet in the middle so the light gets through regardless. One of the single beds wasn't sprung properly (didn't bother the two year old, but I wouldn't have been comfortable on it). The CD player wouldn't eject so we were unable to play CDs. Overall I was very happy with it for the price (~$120 per night).